I’ve made a very big assumption that you’re a Tactical Arbitrage user. (If you’re not, apologies and you should definitely consider it). If you are, you better have a search running right now. I’m serious. You’re losing ground. There’s no excuse not to. At every hour of the day, I’m got software running for me that can find online arbitrage opportunities on the web. 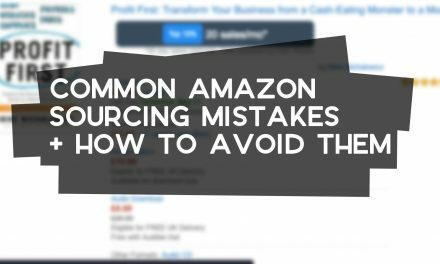 It’s able to identify sudden discounts, clearances and the rare glitches that make it possible to make a profit by buying and reselling the goods through Amazon FBA. And I don’t really have to do much. It’s just a case of getting it all set up beforehand. 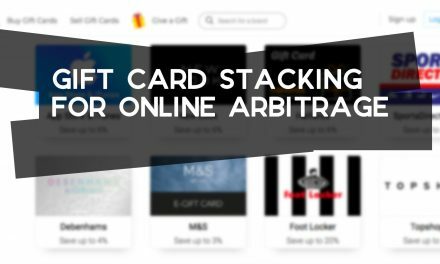 Tactical Arbitrage makes it easy to line up searches in advance and ensure that you’re checking through as many products as possible, even when you’re busy doing something else. They’ve steadily improved the tool over time, so you’re now more to schedule even more scans to run in the background. Once one’s complete, it just moves onto the next one. As you’re going through so much data on a daily basis, it’s extremely important that you set up processes to be able to navigate through all of the information you’re gathering. I set most of mine up a good two years ago (when I was in the early stages of my Amazon selling journey) and they’ve made things as streamlined as possible ever since. 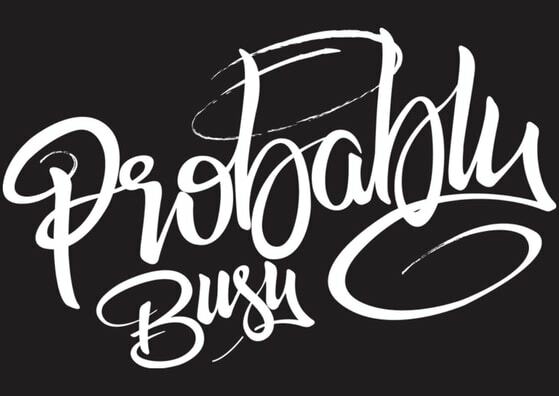 All of my processes revolve around having a never-ending list of different products to analyse and see whether I would want to sell them in the future or not. Most of this game actually involves knowing what not to sell (rather than what to sell). By constantly scanning and seeing what TA flags as something that meets my vague criteria but I then find it fails on some of my own specific criteria, I’m able to cut as many of those unwanted ASINs out and get straight to the ones I actually need to concentrate on. 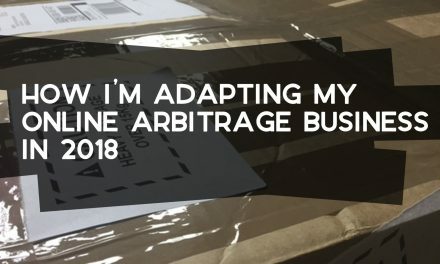 There are lots of different Tactical Arbitrage plans, but I’ve used the full suite since I joined (mainly because that was the only one at the time). As a result, I’ve made it a habit to try to scan in all categories frequently. In practice these days, most of my day-to-day scans are based around simple bulk Product Searches and Wholesale Search. Whatever seems to work best for you, stick at it and make every effort to streamline it so things run efficiently. As a minimum, I’m going to set you a challenge of setting up a fresh search on Tactical Arbitrage every morning. Export the csv of the results once you wake up, and get another one running straight after it. 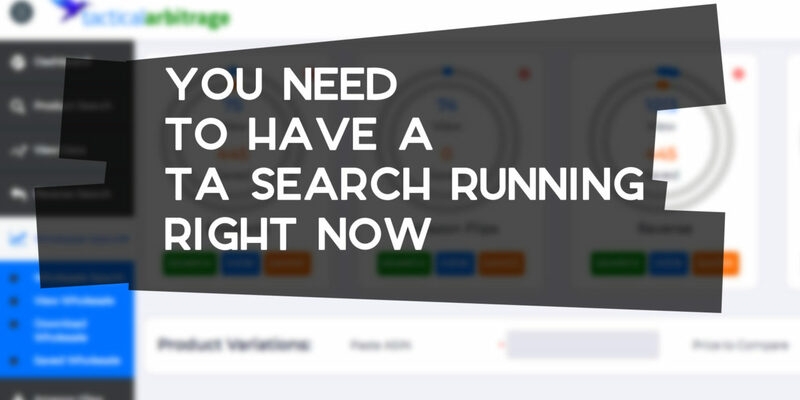 If a search is still running, schedule a new one to follow it up once it’s done. It’s fair enough if you know you won’t have time to check the new product every morning, but at least you’re going to be aware of what deals have been on offer, so you know the sorts of discounts could happen again in the future. 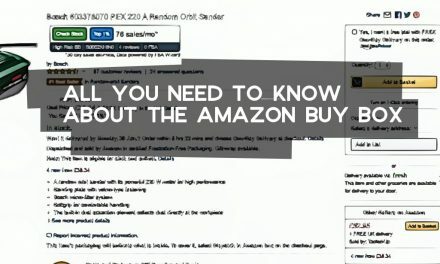 Running searches every few days just doesn’t cut it, if you’re serious about growing a decent-sized Amazon online arbitrage business. This is a very simple way to accelerate your growth with a simple daily action.